The ONLY chewable tablet that is formulated to closely resemble the electrolyte profile lost in sweat: sodium, potassium, calcium and magnesium. 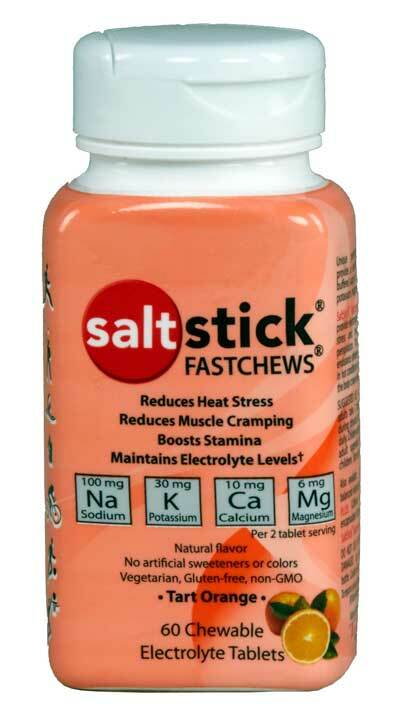 FASTCHEWS help to reduce muscle cramping and heat stress, boost stamina, and maintain electrolyte levels. Chewable tablets provide fast absorption through buccal mucosa (tissue in mouth).